Based on 655 customer ratings. 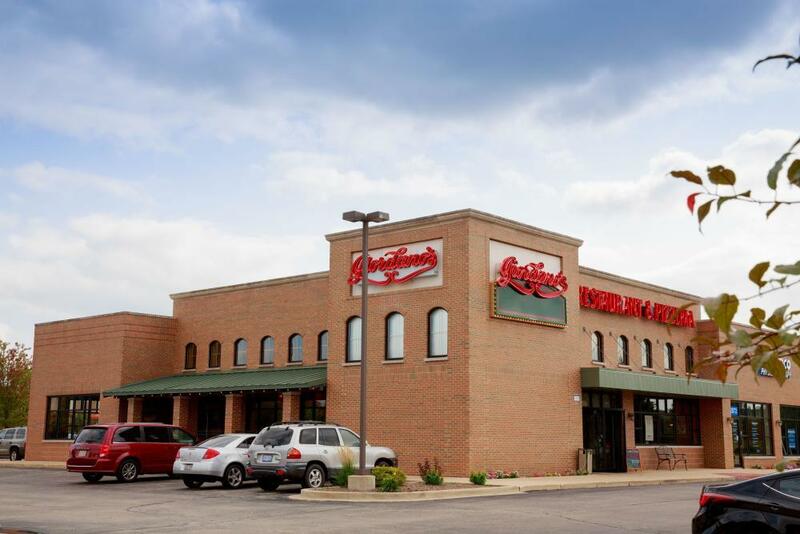 Like our Giordano's location in Oswego, IL, living in this community gives you the perks of the city without the stress of living in the city. There's plenty to see, do and eat right here in Oswego. Like many Chicago suburbs, the first inhabitants of the area were Native Americans, and the early American settlers arrived in the area during the 1830s. The first settlers who arrived were William Smith Wilson and his wife, Rebecca. William, along with Rebecca's brother, officially claimed land in 1833. Two businessmen came to the area a few years after the Wilson family and later named the community Hudson. When a post office was established in 1837, the name changed to Lodi. Not surprisingly, a lot of confusion followed. Within a year, the community met and voted on a name for their village — Oswego. The Village of Oswego was officially incorporated in 1852. You like that you can go to Chicago to find new things to do with your family, but you love that there's a ton to do here in your own neighborhood. Hudson Crossing Park: This is the perfect place to unwind with your family after a busy week. Take a hike or bike ride, enjoy a delicious picnic together or stroll through the Egret sculpture garden. You could also go canoeing or do some catch-and-release fishing on the lake. Whether you're an active or more laid-back family, there's something to do together that will create lasting memories. Kellers Farmstand: The Keller family has been farming in this area since the 1850s. Support your local businesses by stopping in for organic produce and flowers. Your kids will love the pick-your-own option. Bring them during the fall to pick apples or seek out the perfect pumpkin for a jack-o-lantern. They also sell jarred goods and locally collected honey, along with cider donuts, fudge and kettle corn on the weekends. Phillips Park Zoo: Get up close and personal with the area's local wildlife. Learn more about which species live near you. It's the perfect place to spend a Saturday afternoon with your family! Your kids will have a blast and learn something new. If you're in the mood for something other than our deep dish pizza, Oswego, IL, has a wide variety of restaurants that can satisfy any craving.​ Of course, Giordano's is as good as it gets when it comes to pizza. Visit us today for the best deep dish pizza in Oswego, IL! Have you worked up a big appetite from spending the day at the Phillips Park Zoo or the Waterpark? Maybe you hit the Hollywood Casino, or spent time at Farnsworth House. Maybe you’re just looking for the best deep dish pizza in Oswego, and if so, welcome to Giordano’s! For 40 years, Giordano’s has served the best Chicago-style pizza in town. Our handcrafted pies are legendary in our region for their flaky crusts, flavorful ingredients and fluffy mozzarella. Isn’t it time you ate at the best pizza place in Oswego? Your Favorite Chicago Tradition Right Here in Oswego Giordano’s pizza is more than cheese, crust and sauce. Our craftsmen build every pie with layers of the richest and most flavorful ingredients. Then, we slow bake your pie to flaky perfection and serve it piping hot. You’ll sense our heritage and technique in every bite, and that’s why our customers come back to us again and again. Giordano’s is proud to be the best pizza delivery and restaurant in Oswego! You’ll also find a menu packed with outstanding Italian favorites. Check out our savory pastas, hearty sandwiches and mouthwatering appetizers. With salads and gluten-free options, there’s something for everyone at Giordano’s.